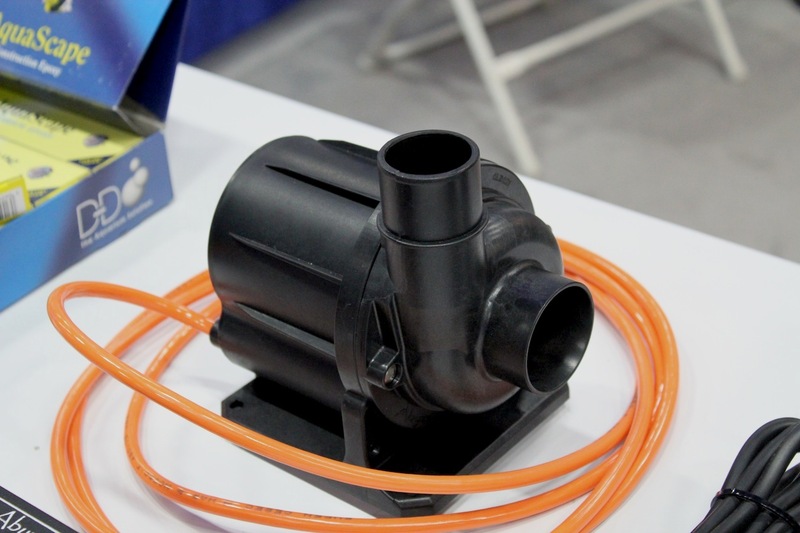 Back in April, we showed off a fairly new pump being distributed by D-D The Aquarium Solution. Called the Abyzz pumps, this new line features three controllable and feature rich models that were being shown at MACNA a couple of months ago. While we didn’t get to see the pumps actually moving any water, we were impressed with the build quality and the long list of features that usually don’t get much play in return pumps. The pumps are a little on the large side, but they aren’t exactly designed for the average aquarium. The Abyzz A200, shown in this article, is the smallest of the Abyzz lineup and has a flow rate exceeding 4400 gph at its maximum and an outlet diameter a shade over one and a half inches. 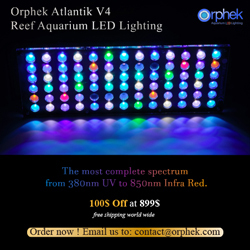 Obviously, this is far too large for the typical home reef aquariums, but those on the larger size might be able to make use of the pump. The features of the Abyzz controllable pumps can be seen below, along with an image of the controller box. 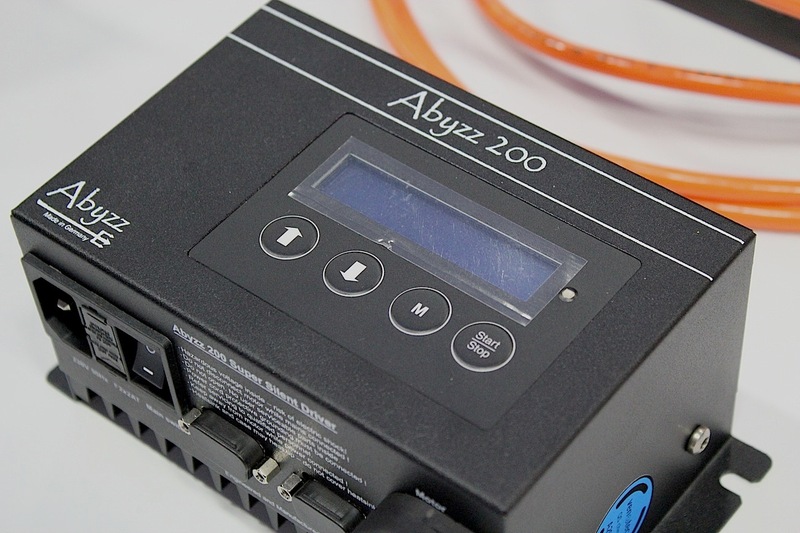 The Abyzz pumps are sold with a robust controller, which prevents the pump from running dry, protects the motor block from overheating, and keeps the electrical current at safe operating levels. To prevent excess wear and tear on the motor and impeller assembly, a soft start feature is also built-in. To keep the pump running long term with minimal maintenance, an integrated bearing flushing protects against calcium and other gunk building up on the impeller shaft. Additionally, silicone carbide ball bearings allow the pump to run virtually silent. All Abyzz models can be run dry or place in-sump, and the flow rate for each can be adjusted from 0-100%. The controller is also capable of running in adjustable wave modes and even a random mode, which is a unique feature for a return pump.